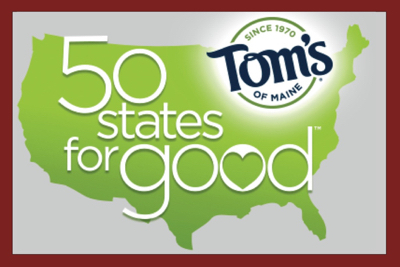 Tom’s of Maine today announced that it had selected the Community Culinary School of Charlotte as North Carolina winner in its “50 states for good” program. “Organizations like these are providing critical services and building strong communities. “The national recognition that Tom’s of Maine brings to the Community Culinary School of Charlotte is commendable,” said Executive Director Ron Ahlert. “It will help in another way, giving our students more paths to success as they partner with organizations that have partnered in the past with Tom’s of Maine. Ahlert said the Tom’s donation would go to support mission-based program costs. The text from the School’s press release about the Tom’s of Maine program is here. Observer food columnist Kathy Purvis wrote about the grant here (cached here). Another reason for a party! So now the Community Culinary School of Charlotte family has yet ANOTHER reason to celebrate at our “Miracle on Monroe” event. The Miracle event is next Tuesday, Dec. 8, from 5:30-8 p.m. at the school, 9315-D Monroe Rd. Click here for more information or e-mail Janis. Left: Chesapeake Center for the Creative Arts, Brooklyn Park, Maryland; right, Reading Works, Albequerque, New Mexico. Photos: Tom’s of Maine.